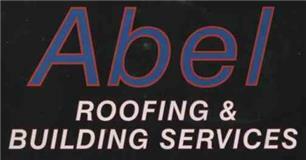 Abel Roofing & Building Services - Fascia/Soffits/Guttering, Painter/Decorator, Roofer based in Epsom, Surrey. Abel Roofing & Building Services is a family run business with more 30 years experience. We cover all of London and home counties. We specialise in all types of new roofs including tiled and sleight roofs, G.R.P. flat roof systems which come with a manufacturers 25 year guarantee. We also offer a 24 hour emergency call out service 365 days of the year and free no obligations estimate and advice. We provide work such as external painting, decorating, all roofing work. No job too big or small for us. Putney, Chelsea, Chiswick, Kingston, Richmond, Wimbledon, Clampham, Wandsworth, Hammersmith, Fulham, West London.